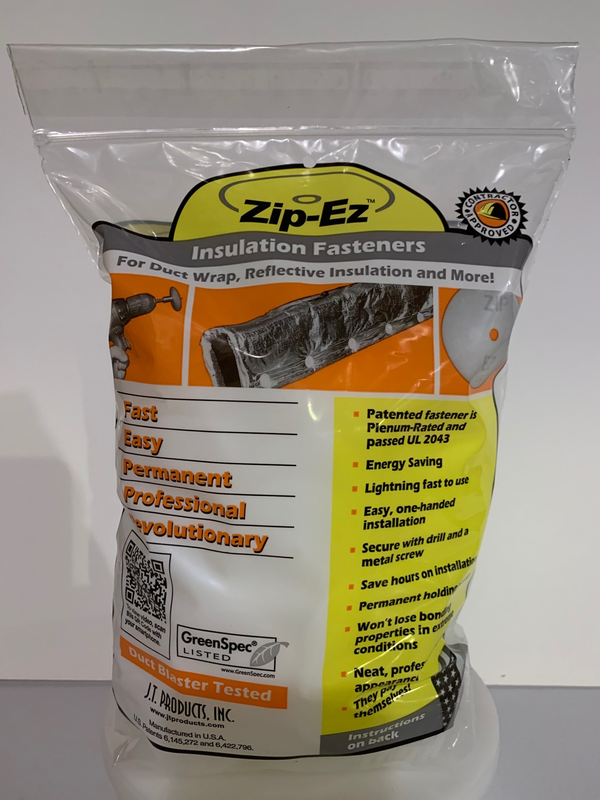 John Tomaini a 30 year design/build licensed HVAC contractor developed Zip-Ez Fasteners and EZ-Strip to make it easier to install duct wrap. We like to hear from our customers. How do you like our product? Do you need more? Drop us a note with the form below or email, phone & we even like mail. Want to grab some Zip-Ez ™? Send us your info and we will contact you within 24 hrs. Do you have a favorite supplier? If so Please enter the suppliers information here. WHOLESALE RETURN POLICY: No returns will be honored after 30 days of product receipt. Products that are pre-approved for return are to be shipped, at customer’s expense, via UPS, FedEx or USPS with a tracking number e-mailed to mailto://sales@jtproducts.com. Returned products must be in in their original packaging and in perfect condition. All returns are subject to a 35% restocking.